Don’t ever believe the hype about anything. Almost seventy-six years ago, on September 13, 1938, Luzerne County’s well-respected news authority, The Sunday Independent, reported about a Ghost Town, called Concrete City, which had been, “left to the ravages of time and scurrying rats”, after a 15 year span in limbo as an abandonment. What was the implied fear in 1938? Concrete City had become a contradiction! You see, historians seemed to be claiming that the city had become “only a memory”, yet, there it was, all up in your face. Concrete City had morphed into an apparition for all to witness! 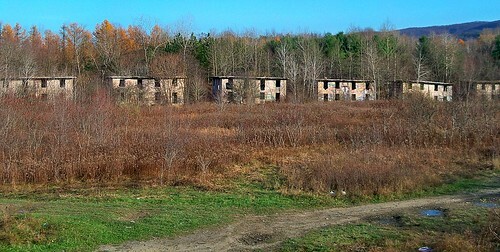 These abandoned homes, once considered a model of modern efficiency, have even survived the dawn of a new millennium, remaining nestled in their wooded area on the boundary between Hanover Township and the city of Nanticoke, Pennsylvania, with their industrial-strength existence still generating a lot of interest, which is nothing new. 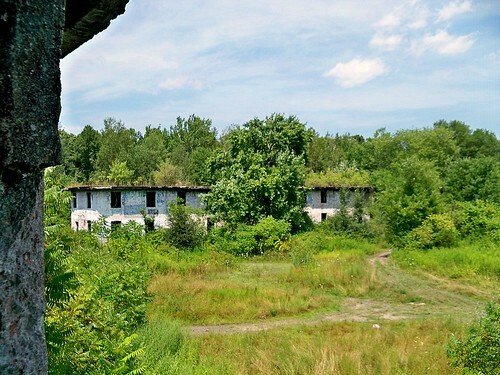 When these homes were first built, the local headlines exclaimed “Good-Bye To That Landscape Eyesore—The Mine Patch! 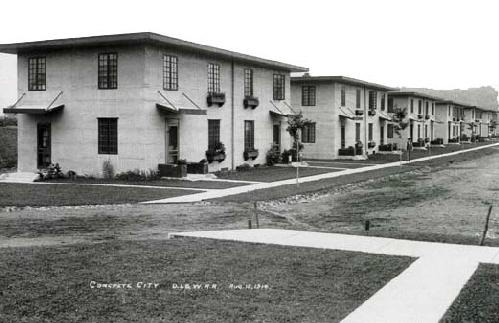 Workmen’s Homes At Concrete City Are Virtual Villas” in the September 26, 1914 issue of the Times Leader. 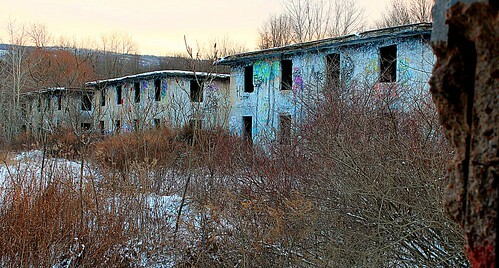 I’ve blogged about NEPA’s infamous Ghost Town, and constantly evolving street art gallery, several times. 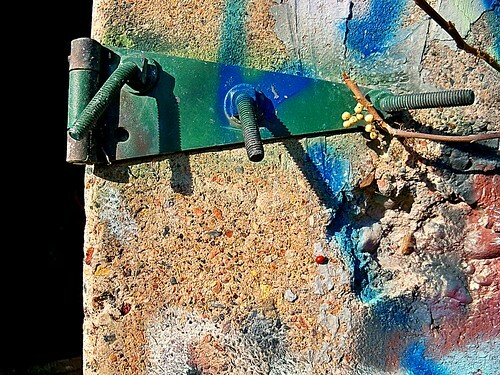 In fact, Concrete City was my first Guerrilla History post (and how I cringe when I look back at those pictures)! I still love finding new information to share, not that it is necessarily “new” information– just new to faux historians, like me! As mentioned in Part 1 of this blog entry, I recently visited the Luzerne County Historical Society to read a Wilkes College Archaeological Field Methods study from 1982. 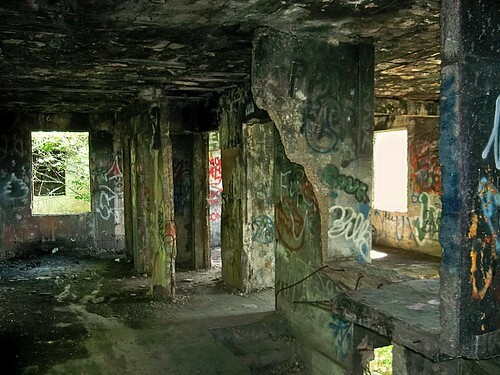 Concrete City was opened in 1914 and was lived in by 40 families until it was abandoned in 1923. Everyone living there had a male family member working at the Truesdale Colliery, just a ¼ mile walk away. It was considered to be ahead of its time, despite the lack of indoor plumbing or heat and electricity. So what was life really like in this community with homes described as “virtual villas”? According to that archaeological report, the city was built in the form of a rectangle with all of the houses facing inwards. Four double block homes are located in the front, which mirrors the units at the back of the property, with eight units on each side. There used to be a road of crushed shale rock circling the inside of the complex and a single tree was planted in front of each unit, creating a uniform line. 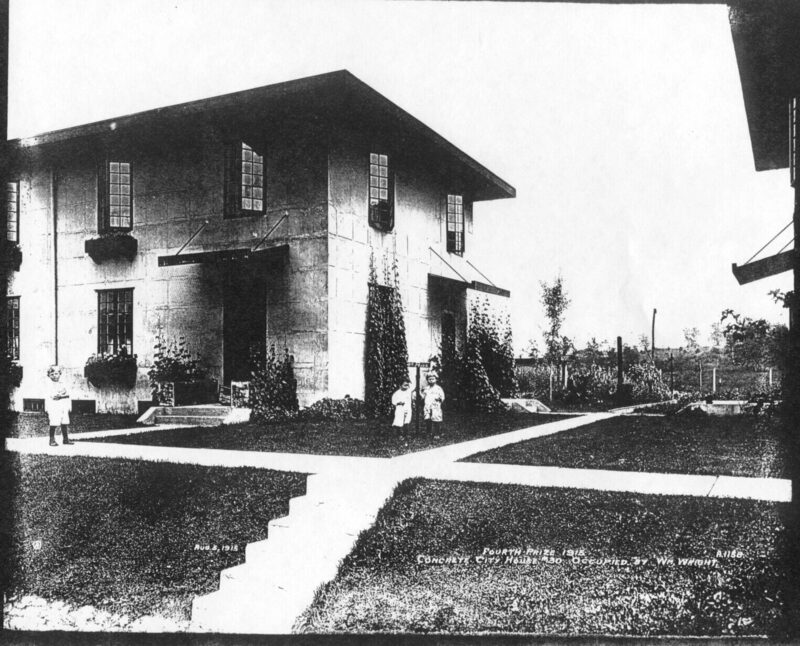 A lawn area was planted in front of the houses and each family was required to have a lawn mower. Large community trash bins were located near the front of the complex. The homes had dark green trimming and red chimneys. Concrete walks led to the front and side doors. Each building had French windows with flower boxes attached. 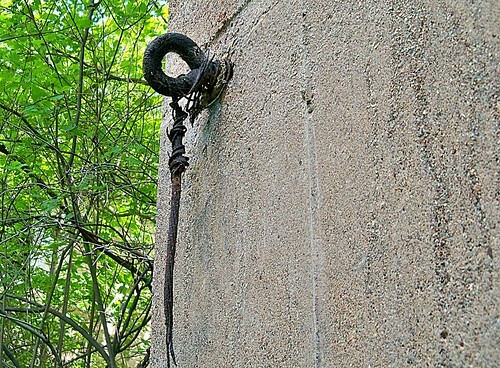 Hung above every front door by chains was a marquis roof. A wooden coal shanty and outhouse were built at the rear of each unit, leaving ample space for flower or vegetable gardens. There was a central well located in the middle of the complex since there was no indoor plumbing. Water was heated on kitchen stoves so the family members could bathe in a concrete tub located in the kitchen, which was also used to wash clothing. The garments were then either hung outside when it was warm and dry, or put up “on lines in the enclosed, upstairs back porch during cold weather”. Sadly, some accounts say that the adult pool was filled in after a young boy drowned in it. The report also says that no evidence is left of the outhouses, coal shanties, playgrounds, a tennis court or baseball diamond. But apparently in 1982 you could still see the pool. I can’t say that I’ve personally seen any evidence of it these days and I think I know what may have eventually led to its demise. 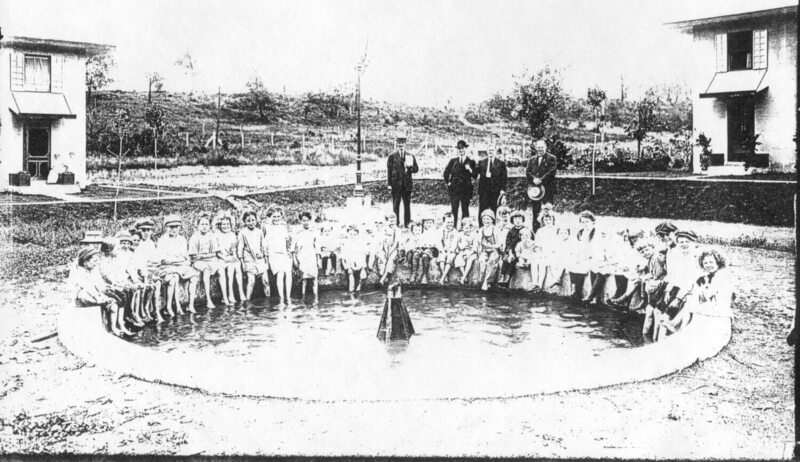 According to an article in the Citizens’ Voice on April 19, 1979, “Beautiful Village Now Fire Training School”, the pool was cleaned out and filled with oil and various types of debris to teach firemen how to extinguish oil fires. What an ironic after-life experience for the drowning victim, that is, if you follow (& believe in) shows about hunting for ghosts in abandoned places. Someone should call Zak Bagans about this! 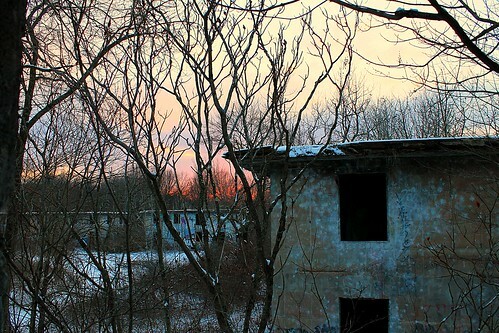 I’m often contacted by amateur ghost hunters asking if I have knowledge of anyone passing away at abandoned places. Thanks to the research efforts of genealogist, Plymouth Historical Society Board Member, historical preservationist and living historian, Amy Cargill Kirkpatrick, I have an actual obituary connected to Concrete City. Henry Slusser—Heart trouble caused the death Saturday afternoon of Henry Slusser at his home in Concrete City. He was a former resident of Black Creek Township and is survived by his wife and two step children. Harold Copeland, at home and Mrs. Walter Sherman of Wanamie; also two brothers, Roger and Rueben Slusser. The funeral will be hold from the family home Wednesday afternoon at 2 o’clock. Services will be held at the residence and interment and interment and Edge Hill Cemetery. Not a whole lot of rapid change has occurred at Concrete City within the last 76 years. You have to wonder if the space will ever get the opportunity to develop into something else. While taking photos of mermaid inspired leggings for the creator of Skinny Jeans and Sippy Cups, Adrienne Shellenberger (featured in Part 1), I said that I wished I could make a better connection between Concrete City and mermaids for my blog post. Adrienne said, “That’s ok. I like things that are random. Besides, everything evolves from the sea.” Maybe the fact that mermaids and artists have made their way to Concrete City is a sign that evolution is finally underway.